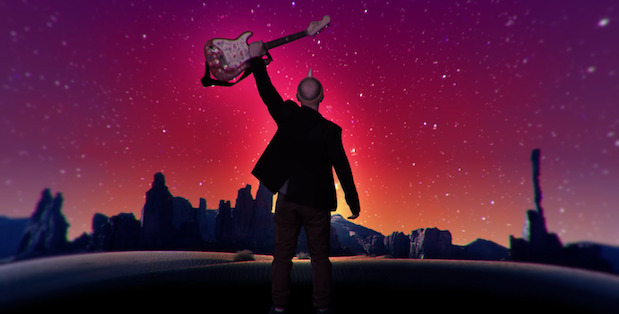 It started nearly a decade ago, when former Blue's Clues star Steve Burns and current Flaming Lips instrumentalist Steven Drozd stormed Jack's Big Music Show with "I Hog (the Ground)," which forever and for all time will be the best song for Groundhog Day. And then (again): silence (again). Until the end of this September, when a brand new StevenSteven website and Twitter account popped up, with a psychedelic new video for "The Unicorn and Princess Rainbow" playing on the site. 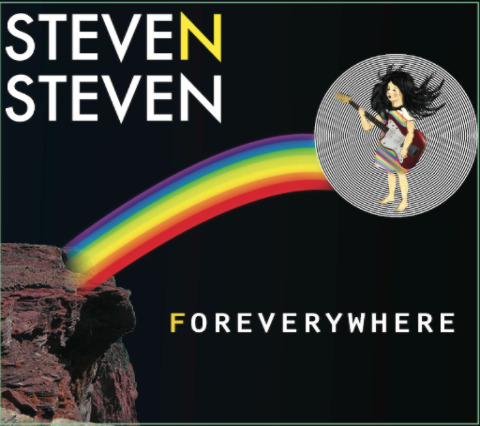 Well, even Chinese Democracy finally got a release date, and the long-awaited StevenSteven (spelling updated slightly) album -- now titled Foreverywhere -- has an official release date: February 2017. The band cites "Black Sabbath, Cephalopods, Grover, [and] Toy Commercials from the 1970s" among many other people and entities as influences and inspirations. It'll definitely be one of those kids music albums that lots of folks both inside and outside the kids music world will be talking about next year. As for me, I might be willing to be like the Unicorn in the 3 song "mini-EP" of sorts scattered as an arc throughout the entire album, waiting until the edge for forever to have the album released into the world. (I have been like that, in kindie terms, at least.) But I'm glad I've only got another 3 months or so. Posted in Upcoming Releases and tagged with Steve 'n' SteveN, StevenSteven, Steven Drozd, Steve Burns, Upcoming Releases, princesses, space unicorns, unicorns, videos. November 7, 2016 by Stefan Shepherd.